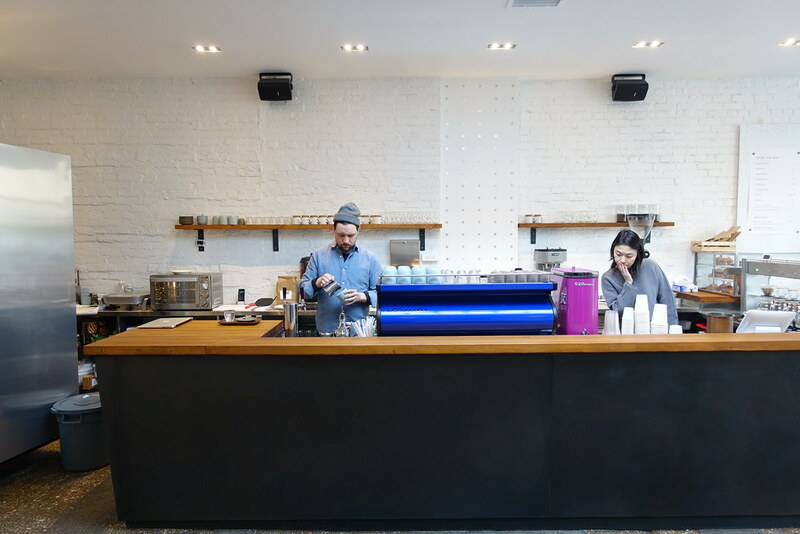 Occupying a former mechanic’s shop in a semi-desolate Bushwick micro-neighborhood, the open, inviting, sparsely-decorated Supercrown Coffee Roasters uses its industrial space in the best possible way. One of the partners, Darleen Scherer, brought her gorgeous design sense from Park Slope’s Gorilla Coffee, where she has since sold her stake. 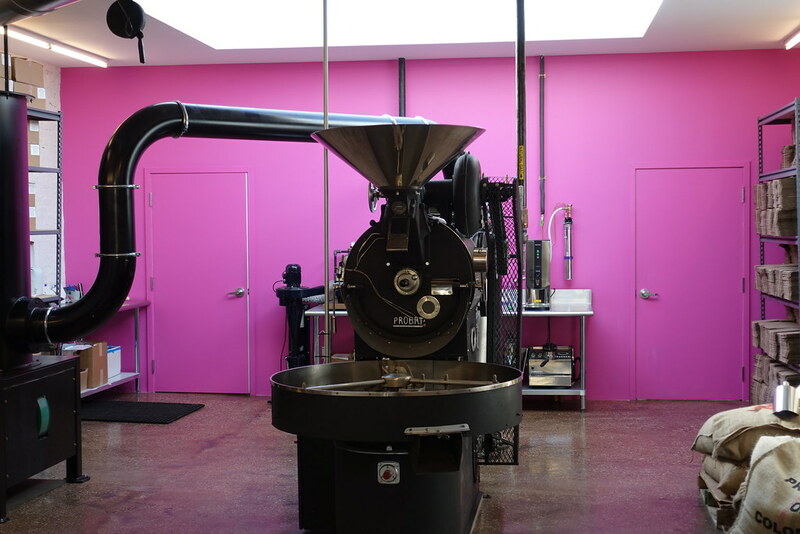 The restored, vintage Probat coffee roaster is given pride of place in the rear of the shop, fronting a hot pink wall, while the main room is smartly left mostly empty, a few tables on one wall, the long coffee bar opposite. Loads of natural light are provided by the full front floor-to-ceiling glass windows and the two skylights. 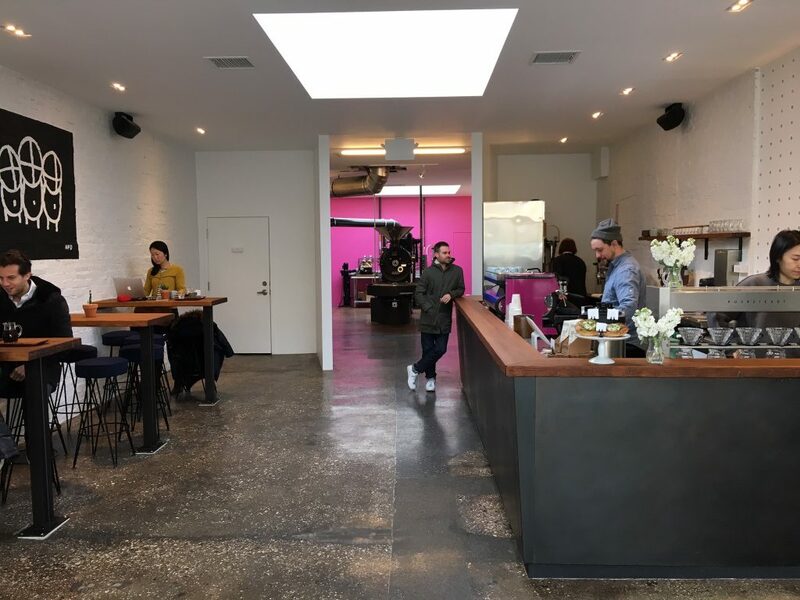 Eye-catching color doesn’t end at the back wall – matching pink coffee grinders sit on the bar next to a custom cobalt blue espresso machine. The walls are bare, white-painted brick save for a commissioned painting, in black and white, by Nick Francis DiFonzo on the wall above the tables. 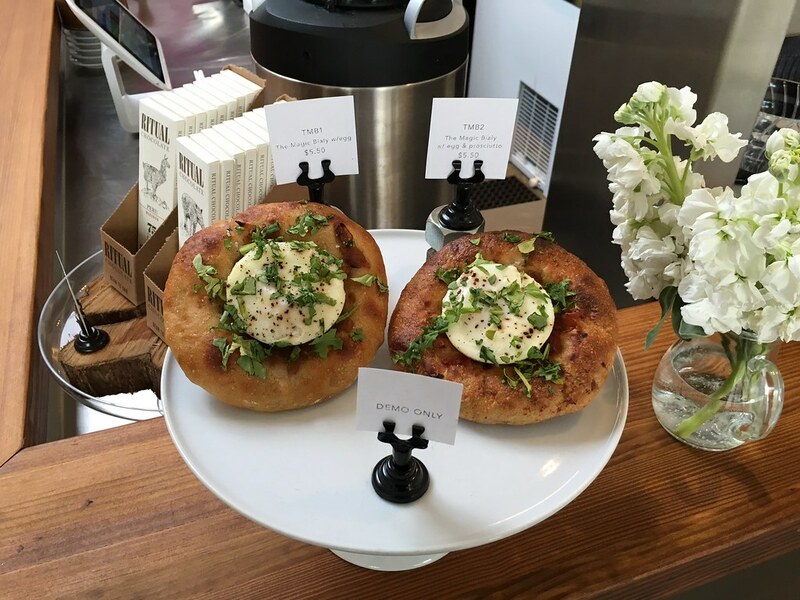 As it approaches its one-year anniversary, the business has shed some of the menu items it launched with. The pastry case has been moved to the corner of the counter facing the door, where the Roberta’s bialys formerly held court, along with the bean-to-bar Ritual Chocolate bars, and its shelves are now filled with Balthazar pastries rather than items formerly sourced from Bien Cuit and Baked. 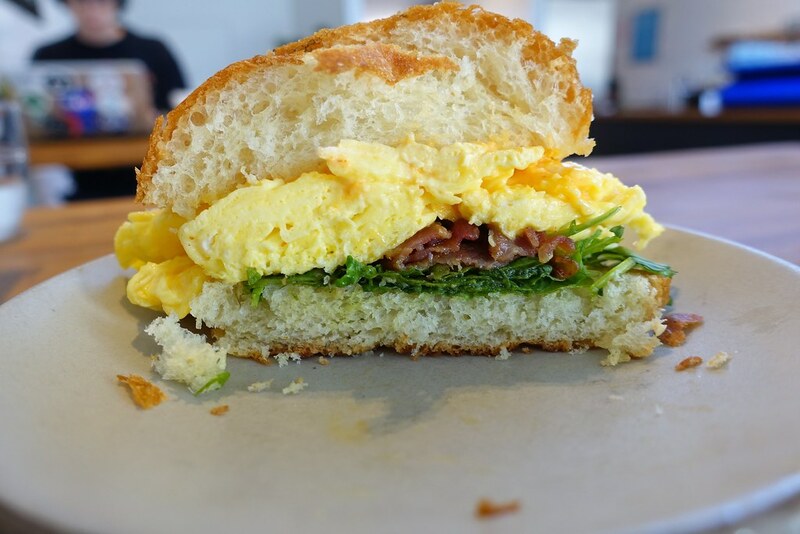 The bialy has been replaced with a pretty good egg and cheese sandwich on a light brioche bun, $6 or $8 depending on bacon inclusion – avocado can be added for $1.50. Better cheddar and aioli distribution would improve the experience. The saddest menu deletion for me is the thick, delicious drinking chocolate made from the aforementioned Ritual’s single estate craft chocolate. Five dollars was an amazing deal for one of the best drinking chocolates in New York City, and I frequently made the trip to Supercrown to indulge. A response to an email inquiry asserted that a chocolate drink is in the offing, so fingers crossed. Specialty drinks now use Van Leeuwen vegan chocolate instead – not even in the same chocolate universe, but there are a lot of options, including the Laura Palmer (iced coffee & house lemonade), an espresso tonic, and a couple of coffee milkshakes. Supercrown has one of the two Poursteady’s in NYC that I know about – Cafe Grumpy’s 39th St shop being the other. 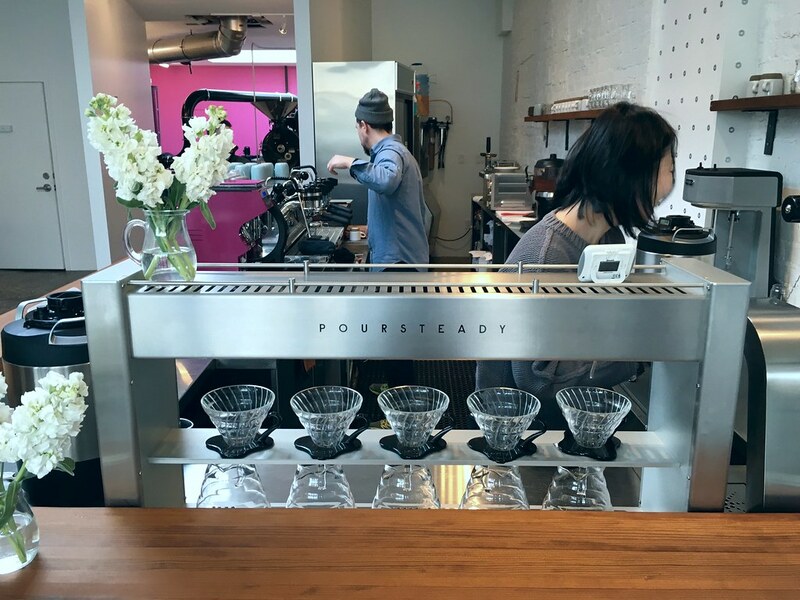 The Poursteady is a so-called pourover robot designed and built in Gowanus, Brooklyn, a topic which could be a whole ‘nother article on its own. The shop’s roasting operation is turning out enough different single origins – the most recent menu offers four separate pourover coffees ranging from $4.50 to $6 – to help make full use of this $12,000 machine. I don’t know if their customer volume currently warrants it, but perhaps consistency in production is reward enough. 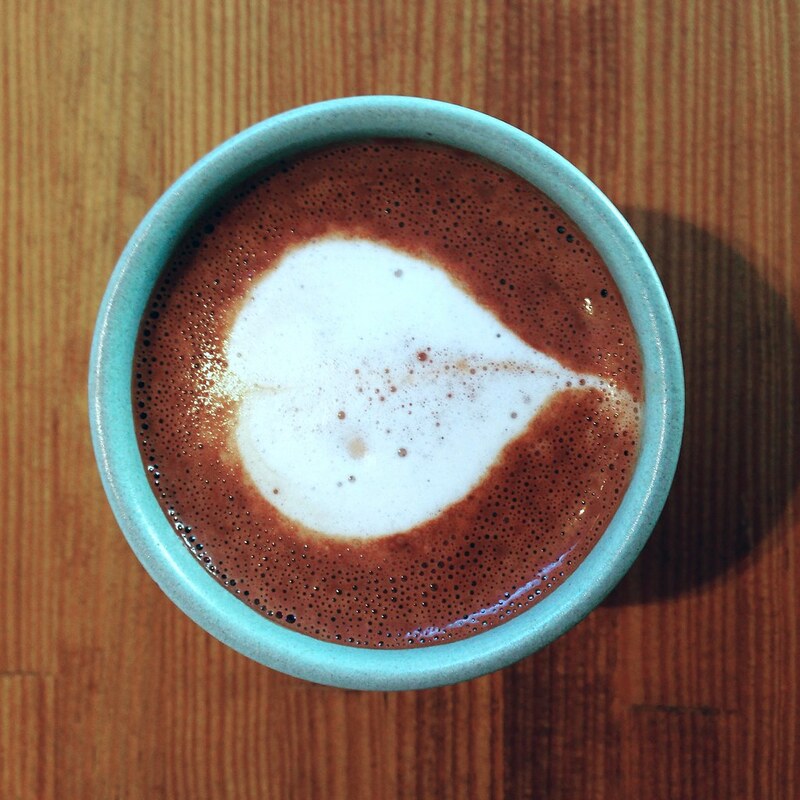 Espresso drinks are served in gorgeous ceramic demitasse. I’ve had some stellar shots, but quality is inconsistent. 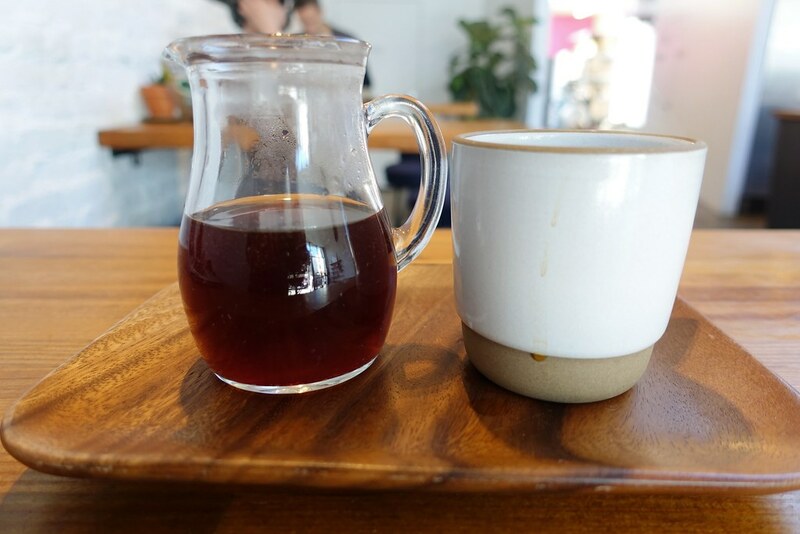 A recent single origin Kenya Ruarai ($5.50) seemed well-prepared but had a pretty gnarly aftertaste, making it hard to finish, while a shot of the fruity house blend had some initial burned rubber notes. It’s sometimes hard to say whether these are roasting issues or barista error, but most new roasting operations take a while to even out, and I’m happy to keep trying. 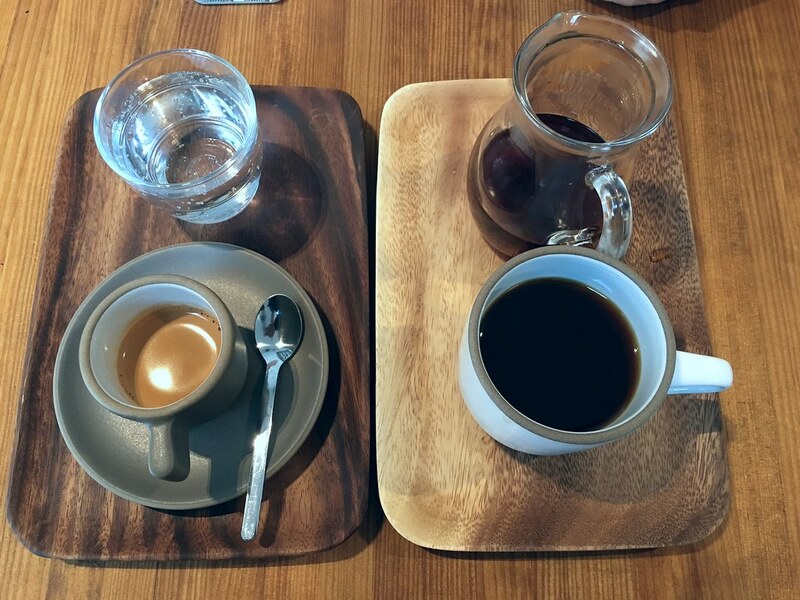 There are currently six pourovers on the menu; the barista-recommended Elida Estates, Panama ($6) was clean and fruity, with some meaty notes, but was on the light side – I prefer more body. Service is courteous, friendly, and welcoming, garnering them repeat local business.